Due to the continued armed conflict in Sudan and the extraordinary and dangerous conditions in that country, the Secretary of Homeland Security has extended the Temporary Protected Status (TPS) for Sudanese nationals who cannot safely return home. 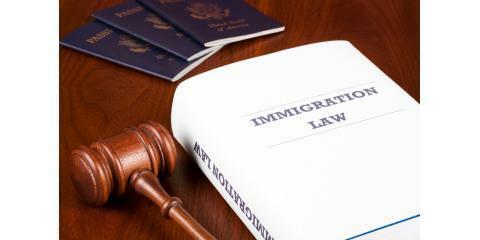 As the immigration lawyers at New York's Berd & Klauss, PLLC explain, this extended TPS status is effective for 18 months, from May 3, 2016, through November 2, 2017. If you're currently the beneficiary of TPS status, the U.S. Citizenship and Immigration Services requires that you re-register before March 25, 2016. Once you do, you'll also be eligible to apply for a new Employment Authorization Document (EAD), which will be valid through November 2, 2017. However, to ensure that your EAD doesn't expire, they are also automatically extending all Employment Authorization Documents held by protected Sudanese nationals by an additional six months if they were initially set to expire on May 2, 2016. Therefore, these documents will now expire on Nov. 2. Form I-821, Application for Temporary Protected Status: Re-registrants do not need to pay the Form I-821 application fee. Form I-765, Application for Employment Authorization: You must submit this regardless of whether you want an EAD. The Application Fee For Form I-765: You must submit this form or a fee waiver request if you want an EAD. If you do not want an EAD, this fee is not required. A Biometric Services Fee: Either this fee or a waiver request is required if you are age 14 or older. To find out more about the extended TPS status for refugees, or for legal advice on any other immigration law matter, consult with the immigration lawyers at Berd & Klauss, PLLC. Visit their website or call (212) 461-7152 for legal services today.